Astronomy Now - With a half-million stars, Messier 3 reveals a splendid deep space tapestry | Astro What? Messier 3 is one of the largest and most brilliant globular clusters in the sky, a spectacular tapestry of stars in even modest telescopes, making M3 a favourite target for amateur astronomers. Viewed by the Hubble Space Telescope, the eight-billion-year-old cluster takes on an entirely different character, revealing a stunning concentration of a half-million suns, including nearly 300 known variable stars. At least 170 of those are RR Lyrae variables, which regularly pulse with a period related to their actual brightness. Comparing their apparent and intrinsic brightness, astronomers can determine the distance to one of these “standard candles,” making them critical elements in calibrating cosmic distances. This Hubble image captures numerous “blue stragglers,” main-sequence stars that appear to be younger than their siblings. 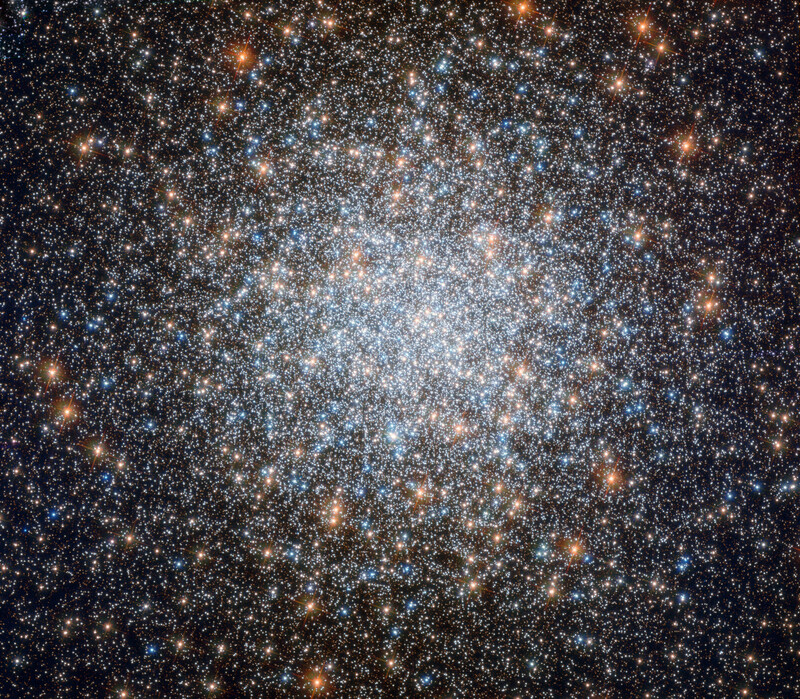 But all stars in globular clusters are thought to have formed at roughly the same time, and the blue stragglers likely have acquired mass from nearby companions, making them shine with blue intensity. Image: ESA/Hubble & NASA, G. Piotto et al.